featuring the creative talent of Pixar and the all-star cast! 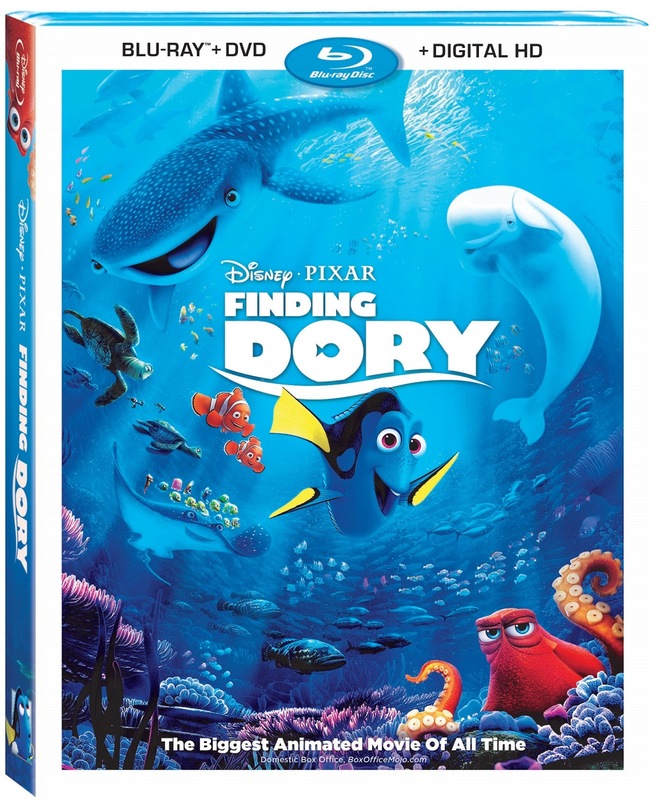 BURBANK, Calif., Sept. 8, 2016 — The summer blockbuster hit, Disney•Pixar's “Finding Dory,” swims home just in time for the holidays on Digital HD and Disney Movies Anywhere (DMA) on Oct. 25 and on Blu-ray 3D™, Blu-ray, DVD and On-Demand on Nov. 15. Viewers can watch Dory’s hilarious and heartwarming quest to find her family and continue the underwater adventure with hours of immersive bonus features. Little Tension in Clown Town – In this alternate version of the film, Dory tries to "follow her fins" to her parents, but ends up in a strange place with even stranger fish fashion. Dory Dumped – In this early version of the story, Dory's parents had short-term memory loss as well. Meeting Hank – Wandering the Marine Life Institute's elaborate pipe system, Dory happens upon the abode of Hank the cranky octopus.